SENSAJOY: 3 Pack - Oral Immune Support - Tropical Punch Flavor - SENSAJOY: Healthy Mouth. Happy Life! 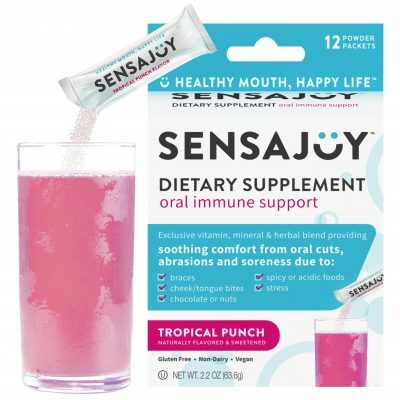 SENSAJOY oral immune support is here to soothe your pain, promote quick healing and prevent a mouth full of sores! 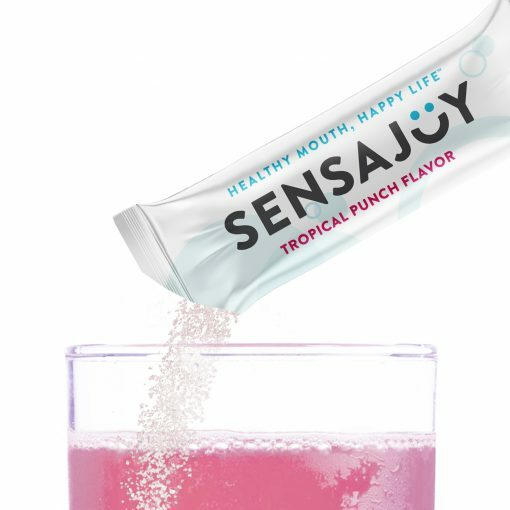 All it takes is a drink of SENSAJOY to … Eat, Drink & Smile again! Sick of those annoying and painfully uncomfortable sores in your mouth? Stressed & know you’re going to wake up with a fresh bout of canker sores tomorrow? Just got some dental work done & dreading the pain you’ll be in after being poked in your mouth? How about if you ate the chocolate & nuts (or whatever) you couldn’t resist which cause your sores? 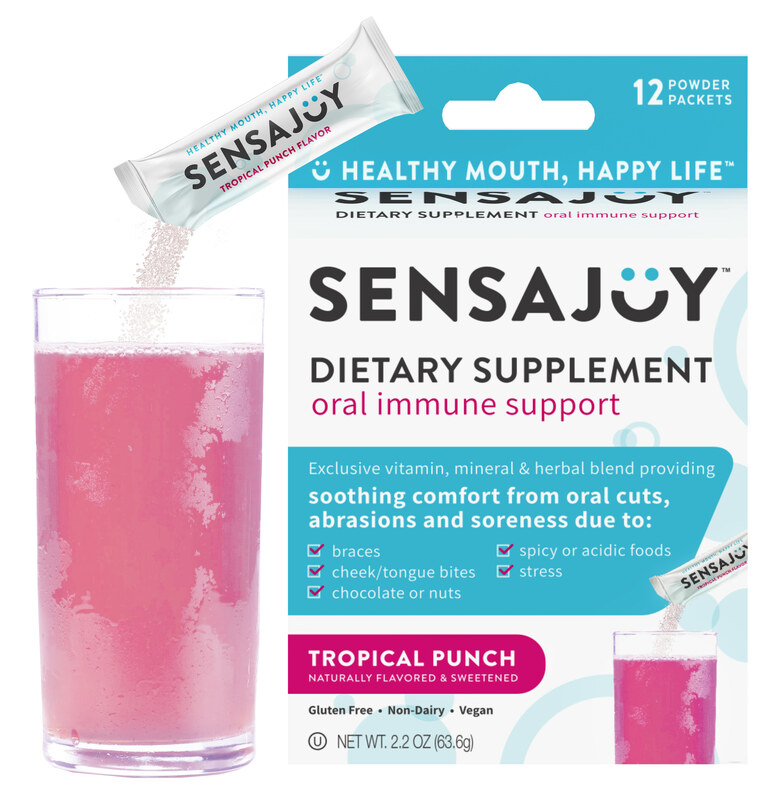 Take SENSAJOY & avoid those pesky canker sores like the plague! 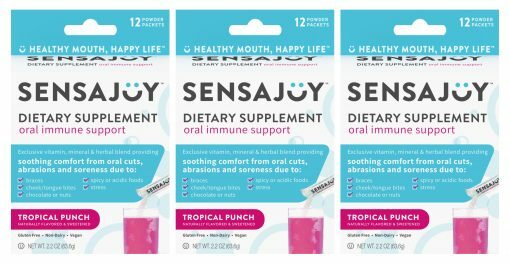 SENSAJOY is a nutritional DIETARY SUPPLEMENT that has been carefully formulated to maintain optimal oral immune function by flooding your body with potent doses of probiotics, vitamins, amino acids, supporting you with the nutrients needed to fight those mouth ulcers! SENSAJOY helps reduce the time and recurrence of canker sores by maintaining a healthy oral immune (ProBiotics / Amino Acids:L-Lysine / Echinacea). Replenishes nutrients (Vitamin B12 / Zinc / Selenium / Folic acid) believed to be deficient by canker sore sufferers. Since the cause of canker sores is medically unknown, there is currently no medication to treat and prevent canker sores. 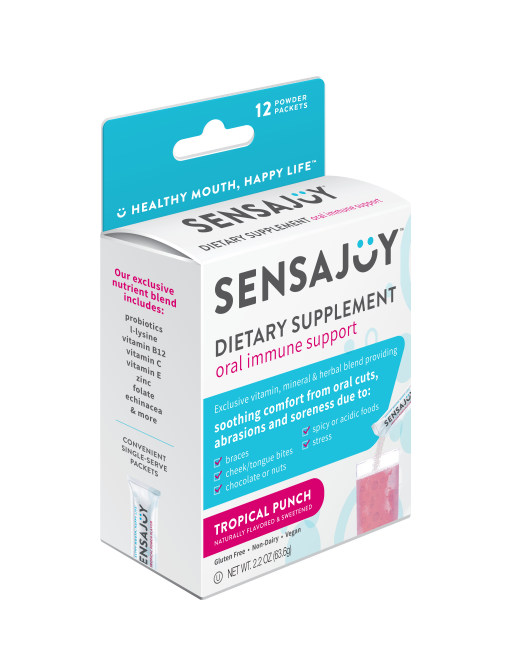 The natural ingredients in SENSAJOY are commonly recommended by doctors – dentists to aid canker sore sufferers. Many studies have shown that replenishing these nutrients promotes oral health and reduces the reoccurrence of mouth ulcers. Pour one packet into 6-8 fl. oz. of cold water and mix well. Allow to effervesce (fizz / bubble) before drinking. Take up to twice daily as needed. Feel Better! … This stuff works! 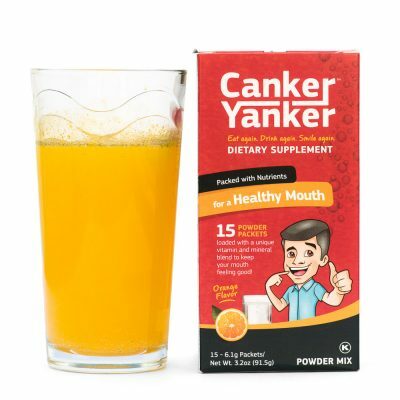 • to relieve & reduce duration of mouth ulcers by current canker sore sufferers who want to drink, eat & smile again! Do not exceed recommended dose. 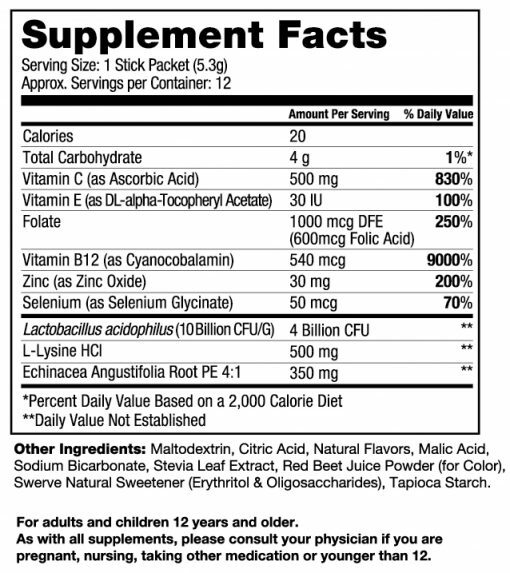 Pregnant or nursing mothers, children under the age of 12, and individuals with a known medical condition, should consult a physician before using this or any dietary supplement.